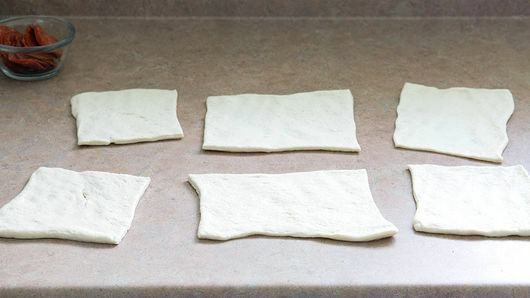 On clean work surface or large cutting board, unroll dough; flatten to make 2 even rectangles. Cut each rectangle into 6 equal squares, making a total of 12 squares. Place 1 piece of cooked chicken in center of each square. 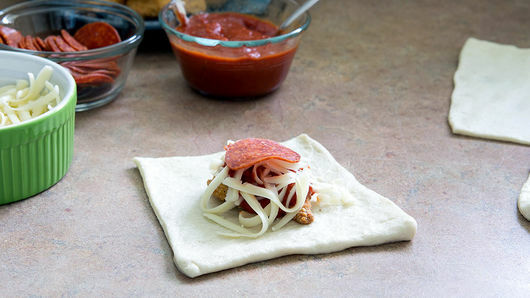 Top each with 1 tablespoon pizza sauce. Add 1 tablespoon (or a little more) of cheese on top of the pizza sauce. Top each with 1 slice of pepperoni. 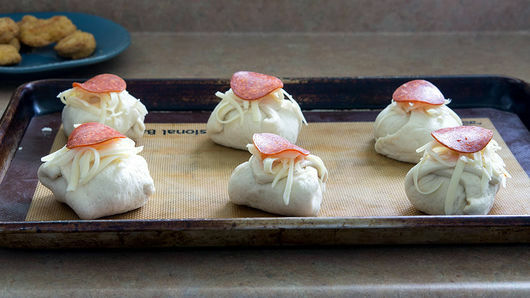 Bring corners of each dough square up and over filling to create a small bundle, enclosing filling. 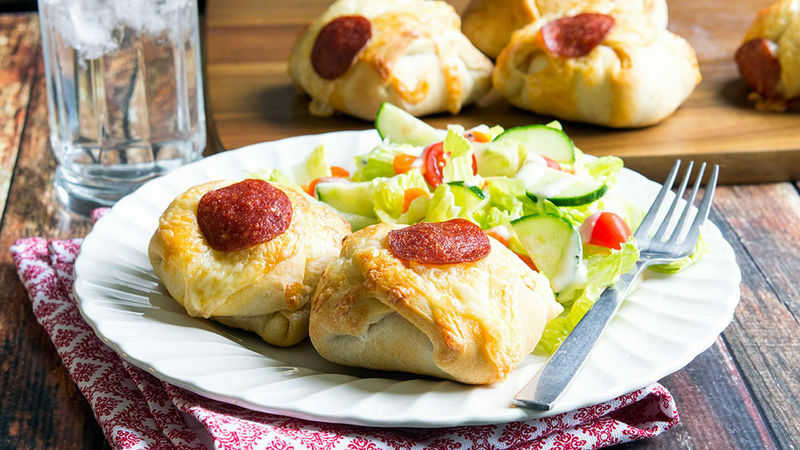 Top each bundle with another tablespoon of cheese and another slice of pepperoni. Place bundles on cookie sheet. Bake 12 to 13 minutes or until dough is light golden brown and cheese is melted. Cool slightly before serving with extra pizza sauce for dipping. When buying chicken, make sure to find the fully cooked chicken pieces to reduce the prep time. Add a teaspoon of shredded Parmesan cheese to the inside of each bundle to give it a little extra boost of cheesy flavor!